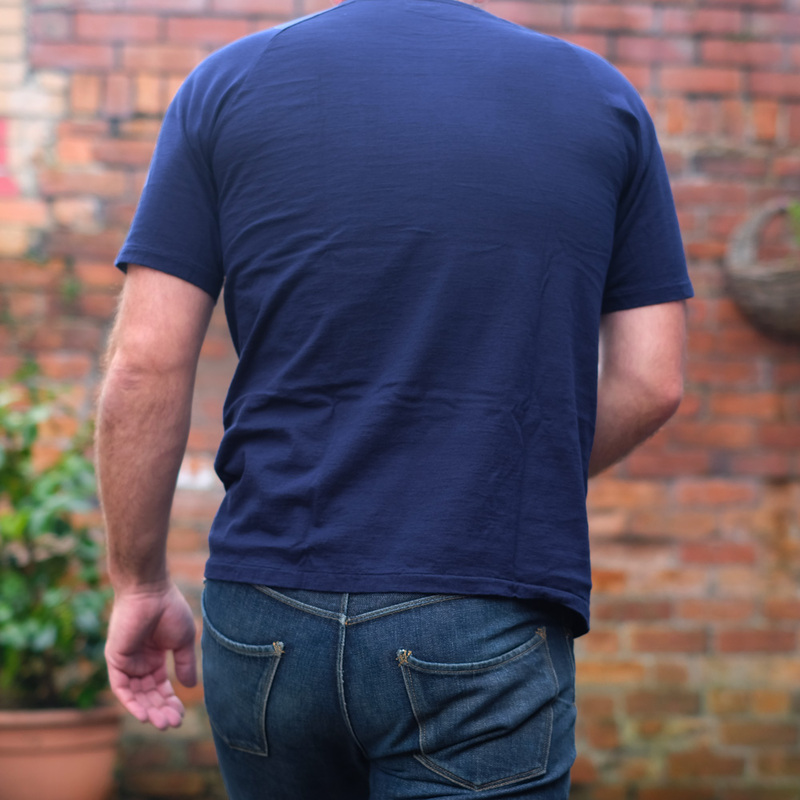 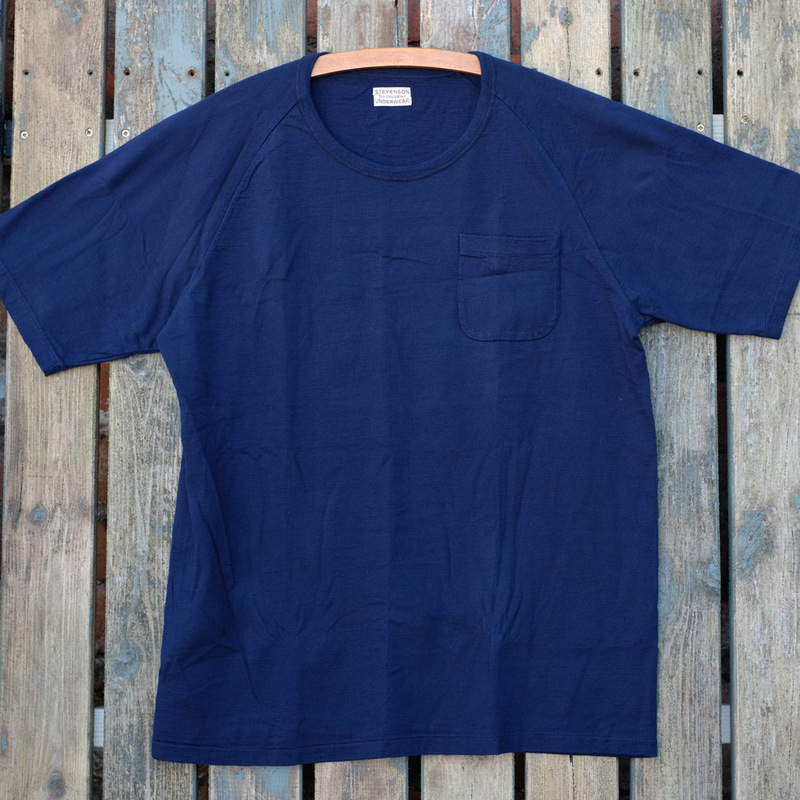 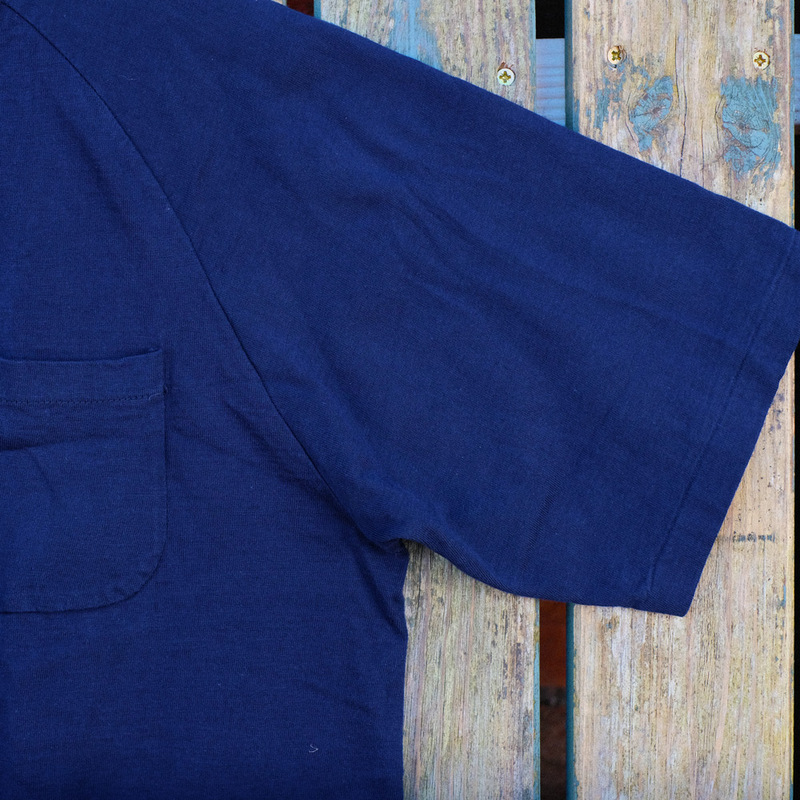 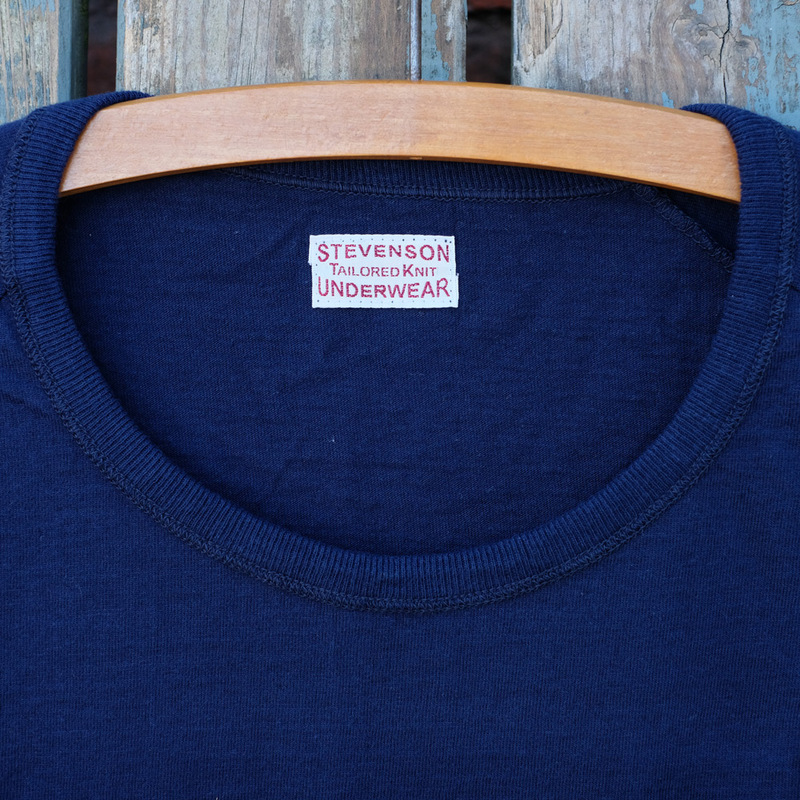 A very soft and comfortable medium to slightly heavier weight classic styled raglan sports t-shirt in an indigo yarn dyed Zimbabwe cotton. 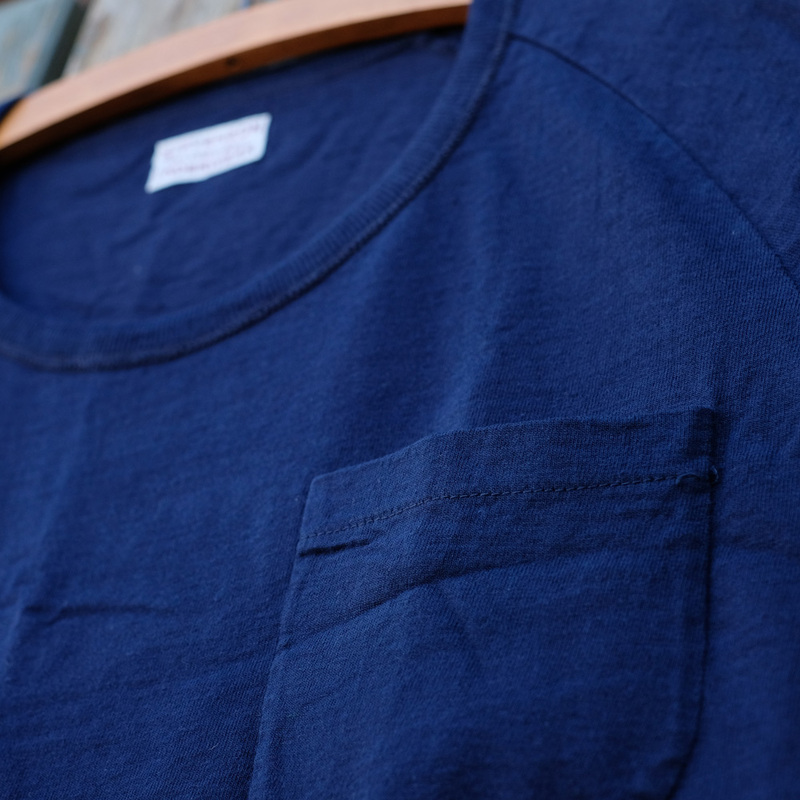 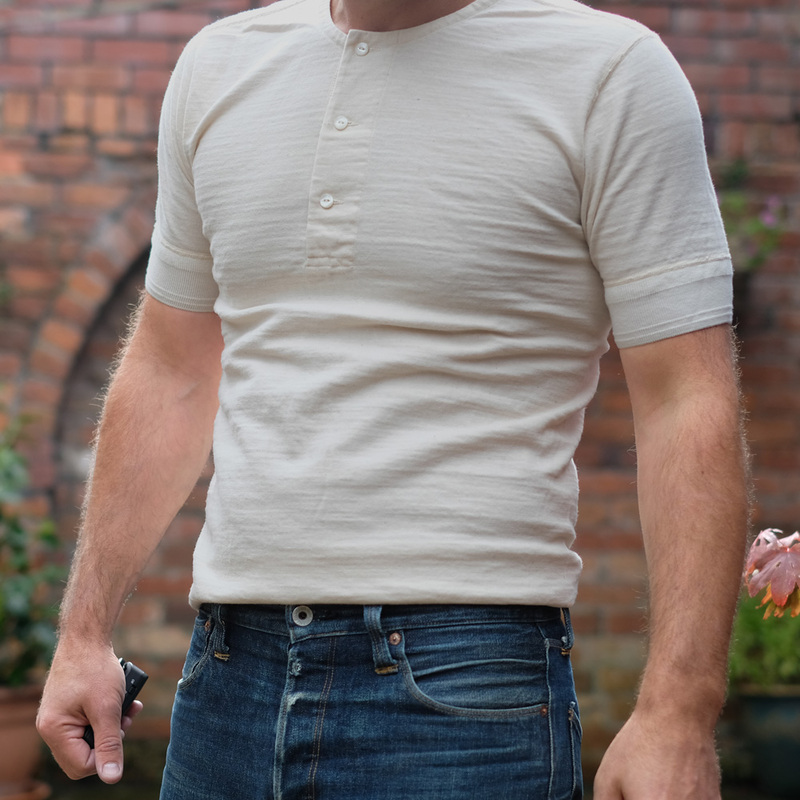 The fit is slim boxy like an old school sports t-shirt in a good medium length. 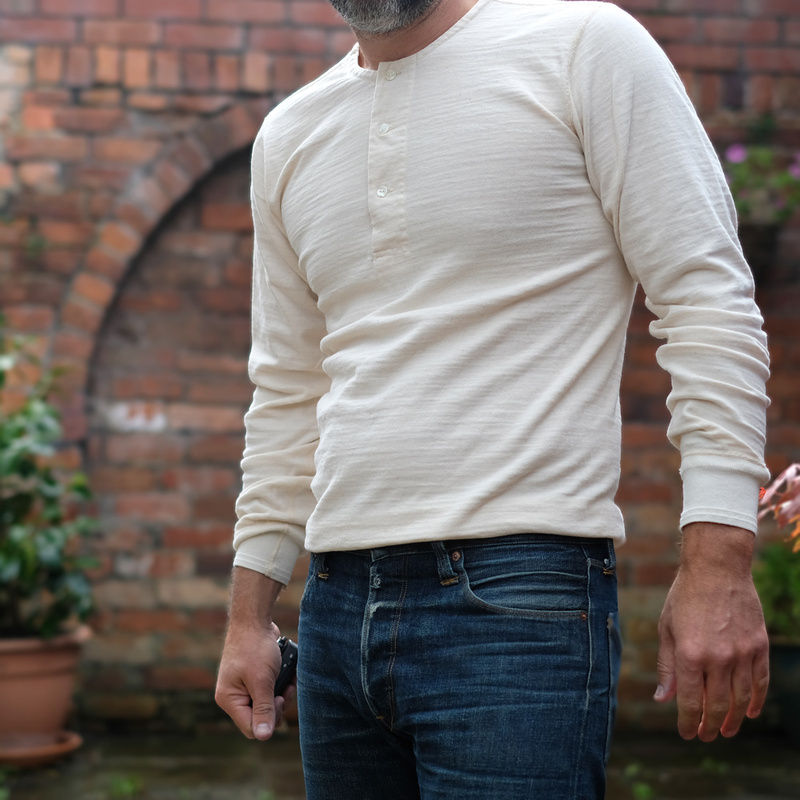 The fabric is very soft and sturdy loop-wheeled fabric, really comfortable on and the yarn dyed indigo will gradually fade with wear like a pair of jeans. 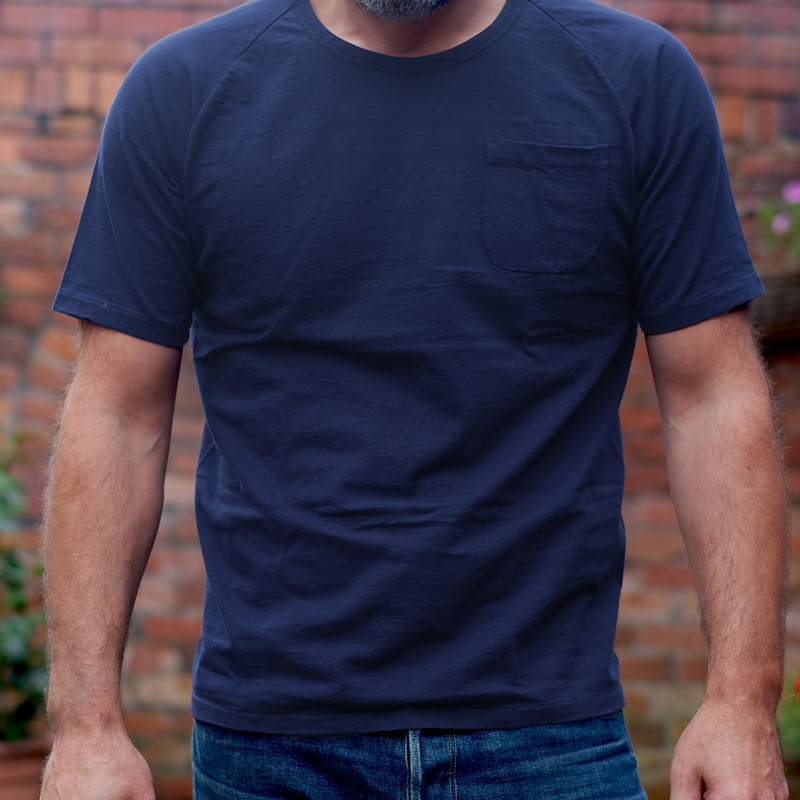 It will look great after a good few wears and washes and will fit and feel like it did at the start. 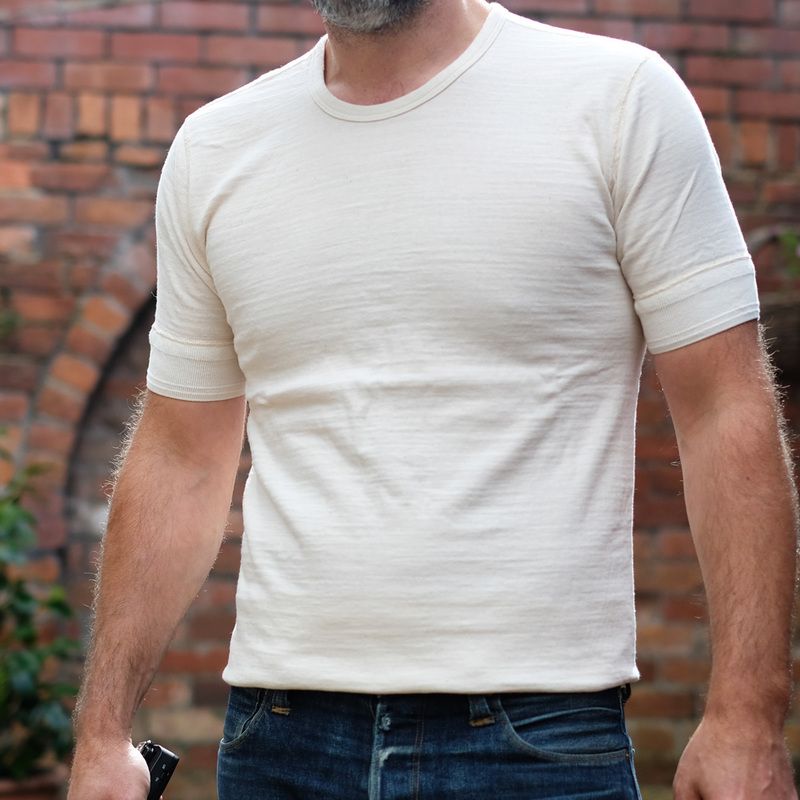 That’s quality clothing for you!